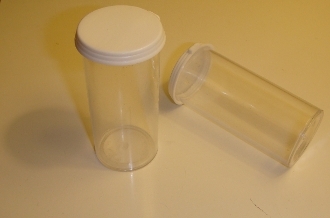 Six clear plastic 1.5 oz vials. Great for collecting insects outdoors. Lids snap on tight. Height is about 2.75 inches. Width is about 1.25 inches.